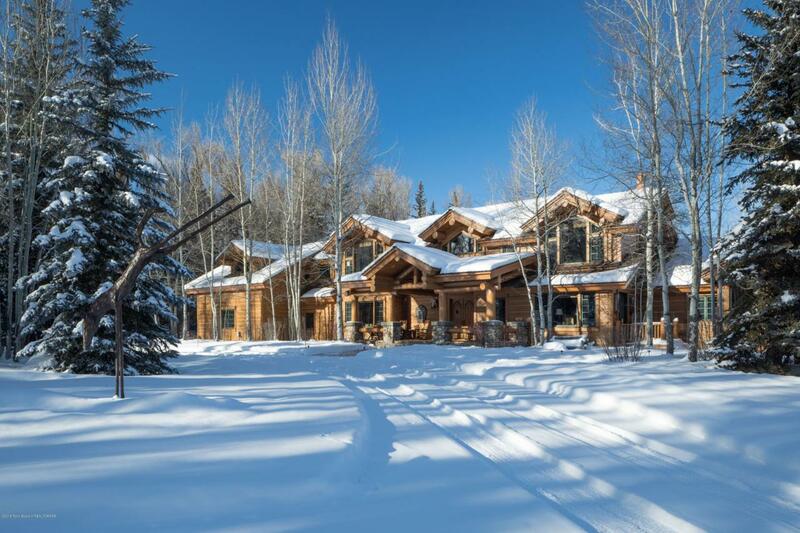 Set on 20.42 private acres, ''Horse Feathers'' offers a beautiful, natural landscape with mature trees, perennial flower beds, a pond and year-round stream. 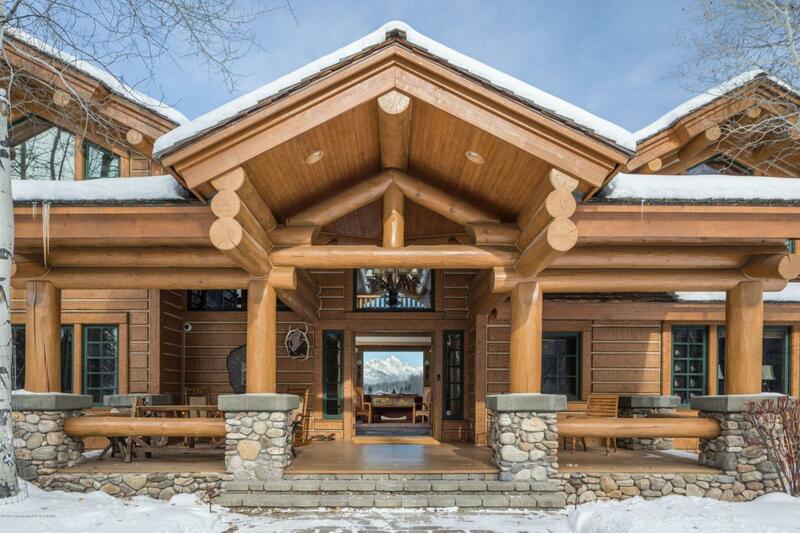 The 7,977 sq ft custom home features a hand-hewn log beam structure. 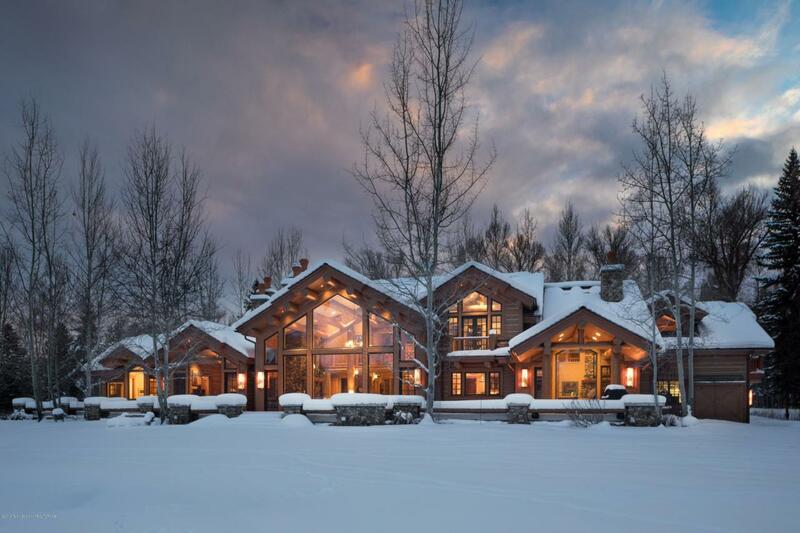 Enjoy a flowing floor plan featuring a great room with stunning Grand Teton views, a dining room and a very spacious kitchen that opens up to a comfortable family room. The main floor master bedroom offers his & hers closets and bathroom amenities as well as a study. 3 guest bedrooms all with en suite bathrooms and a large, versatile bonus room with private balcony occupy the top floor. A nearby barn boasts a second garage, 2 horse stalls and abundant storage. This gem is conveniently located with easy access to all of Jackson's amenities. 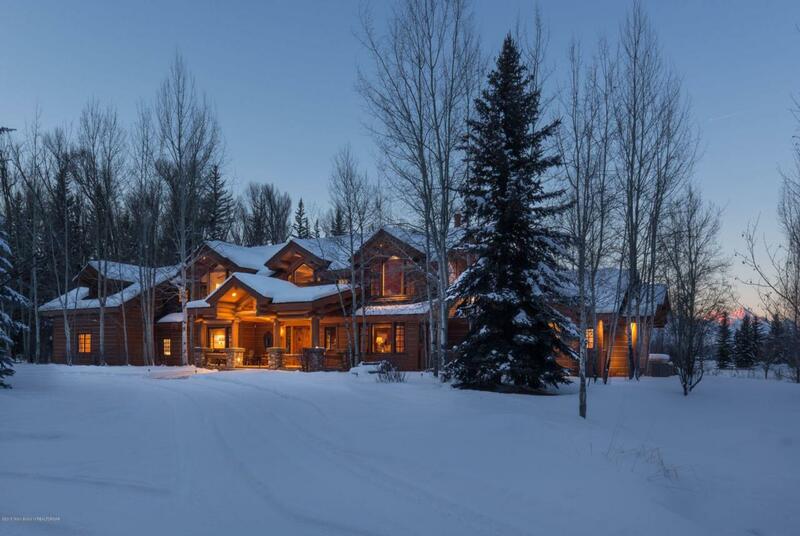 Listing provided courtesy of Tom Evans of Jackson Hole Sotheby's International Realty.